Students can create images of themselves using these safe, free-standing mirrors. Made from durable scratch-resistant acrylic and feature an 8-1/2" x 11" surface for full viewing. Stands on a 3" base. Sold as Single Unit. Created for drawing self-portraits. Excellent for use in theatre class, lockers, dorms, home and more. Single sided mirror. 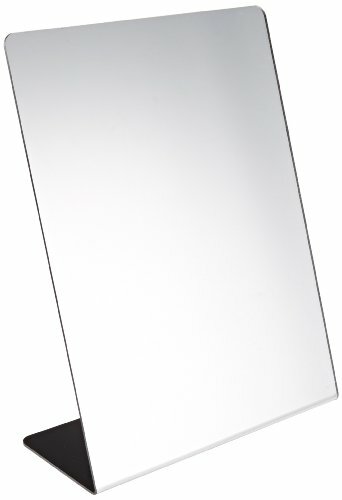 Paint, sketch or draw yourself using this one-sided mirror.